Badger culling will take place in parts of Gloucestershire and Somerset for a further five years. New supplementary licences have been granted by Natural England. Culling is part of the government's 25-year strategy to eradicate bovine TB, but opponents say there is no evidence it is effective. Existing licences already exist for parts of Herefordshire, Dorset, Cornwall, Devon and another area of Gloucestershire until 2018 and 2019. The previously issued licences for Somerset and the original cull zone in Gloucestershire expired in November. The new licences allow the killing of badgers during the open season of 1 June to 31 January, until January 2022. Authorisation letters sent to the companies authorised to carry out the cull state a minimum target of 160 animals to be killed and a maximum of 580 for the Gloucestershire licence area, and a minimum of 140 and a maximum of 610 for Somerset. The cull has taken place in Somerset and Gloucestershire since 2013, in Dorset since 2015, and it began in Cornwall, Herefordshire, Devon and a second part of Gloucestershire last year. A total of 10,886 badgers were culled in 2016. Authorisation letters have not yet been sent out for this year for the areas with existing licences. Dominic Dyer, CEO of the Badger Trust which opposes the cull, said the government was "pandering to its core voters in the farming sector". "No credible scientist has ever suggested that culling badgers will make any significant impact on lowering TB in cattle and there is now clear evidence the policy is failing badly. "The government is simply imposing its will in an act of political aggression against both science and the will of the people." The trust said it was still expecting nine new culling licences to be issued in Cheshire, Devon, Dorset and Wiltshire, which it said "could lead to the killing of over 10,000 more badgers by early October". 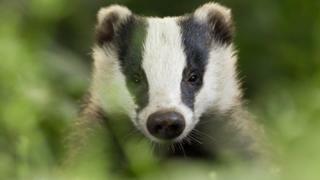 A Department for Environment, Food and Rural Affairs (Defra) spokesperson said: "Earlier this year we announced plans to licence supplementary badger control in areas that have successfully completed intensive culls, allowing them to maintain disease control benefits for many years to come in line with plans set out in the TB strategy. "Licences for supplementary badger control have been issued for two areas." The spokesperson added that Natural England was considering other licence applications.